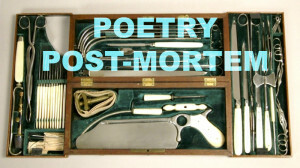 I’ve done an occasional Poetry Post-Mortem on my own poetry, and I enjoyed it so much that I’ve invited some of my favorite poets to send me their own. 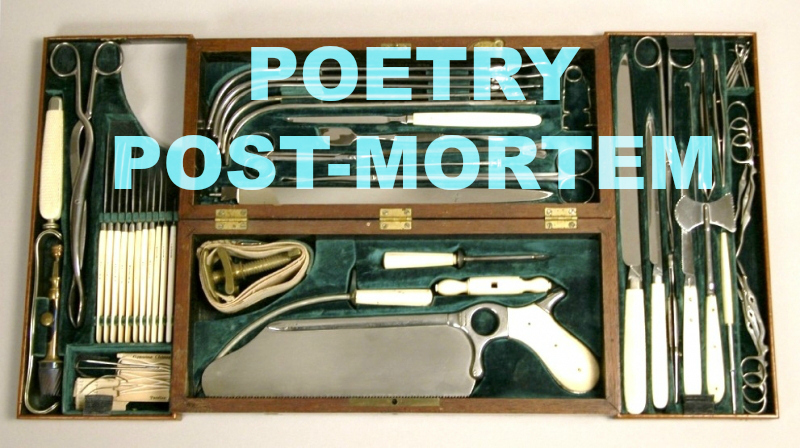 This Poetry Post-Mortem comes from David C. Kopaska-Merkel. He’s the author of 30 books, a Rhysling award winner, past SFPA President, SFPA Grand Master, and editor of Dreams and Nightmares. I think D&N was one of the first publications I read on a regular basis when I first started writing spec poetry, as it had such a wide variety of styles and types of the form-and always amazing quality. Or does she bend to kiss his crystalline cheek? Hopeless passengers sailing a viscid sea. Are there islands? Will she visit them? Only time will tell, and he’s not ticking. At her orphan forest children. The incandescent kiss of love? Concrete bunker of America’s heart. Like the milestones of panic. In a flood of scalding rain. Westward after the setting sun? This poem was first published in Ideomancer, in 2009. It was written as stream of consciousness, a technique I used often in those days. I think this poem was one of the most satisfying results. After I wrote it, I didn’t edit it very much. The first draft scared me a little, and you know what they say: if it ain’t broke, don’t fix it.. As for the title, it just popped into my head. I have no idea where it came from, but it sounded like something that had to be written about. It is more difficult to write poems using stream of consciousness nowadays. Is it because I am older? Maybe, but it’s partly because I can no longer type quickly, and moving fast/thinking fast seems to be required for sustained use of this method. If you can’t write as fast as you are thinking, then you start editing your thoughts as you put them on paper. The poem was written in 2003, a few months before I broke my neck. This was part of the reason it took so long to get it published. It took me quite a while to pick up all the balls I had been juggling. As for the scientific content, one of the primary ways in which islands are colonized by living things is through rafting on logs. Small animals and, presumably, small plants, travel this way. Of course, many plants are propagated from seeds that arrive in bird poop. Too bad for animals that this option is not open to them! Mole rats are real; the other two kinds of critters are imaginary. The straw stuck through the concrete bunker image comes from the true fact that a tornado can drive a straw through a tree. I can’t really say where most of the rest of it came from. It was as much a surprise to write it as it might be to read it. David C. Kopaska-Merkel is a geologist by trade, but has been writing poetry and fiction for as long as he has been fascinated by rocks. 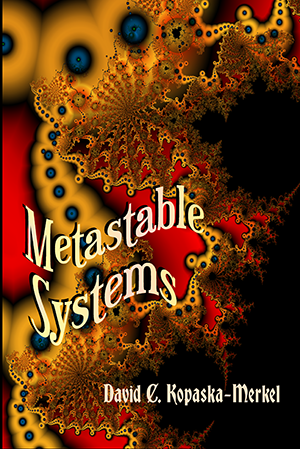 He edited Star*line [the journal of the Science Fiction and Fantasy Poetry Association] in the late ‘90s, and later served as SFPA President. He won the Rhysling award (long poem) in 2006 for “The Tin Men,” a collaboration with Kendall Evans. He was voted SFPA Grand Master in 2017. His poetry has been published in scores of venues, including Asimov’s, Strange Horizons, and Night Cry. 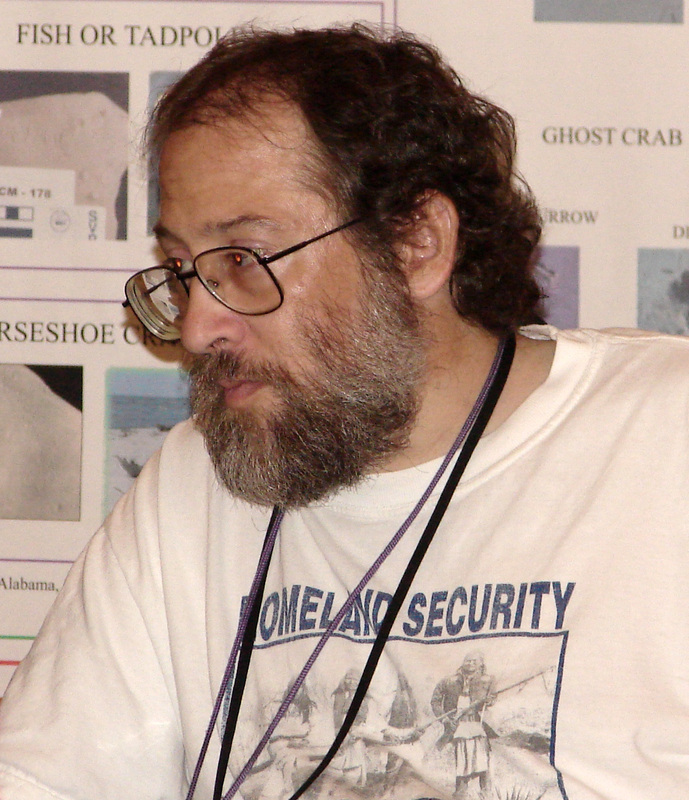 He is the author of 30 books, ranging from fantasy poetry to geology. Kopaska-Merkel edits and publishes Dreams and Nightmares, a genre poetry zine in its 32nd year of publication. David hates the cold, but this is not why he lives in the Deep South. Blog: http://dreamsandnightmaresmagazine.blogspot.com/ Twitter handle: @DavidKM.